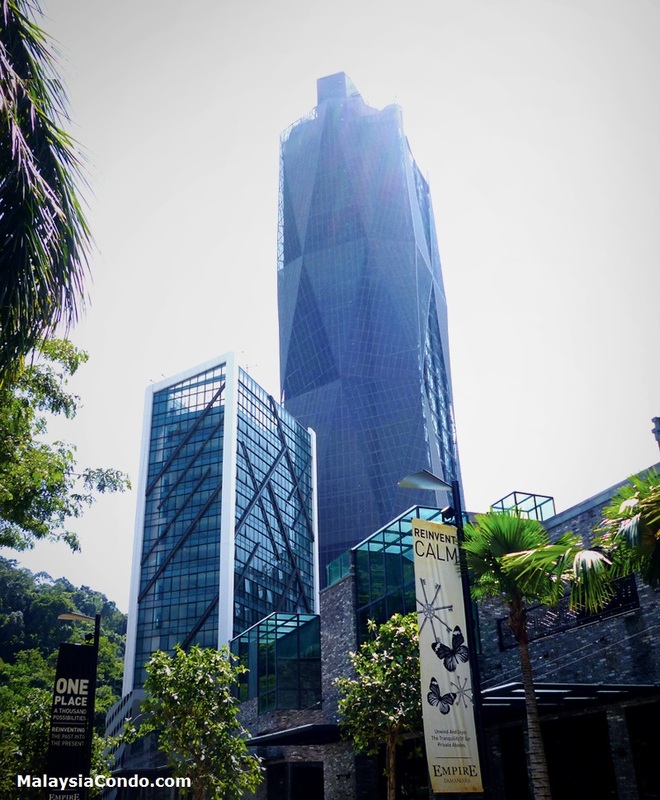 Empire Damansara, one will find fashionable “Xin Tian Di”-styled pedestrian streets incorporating elements of Shanghai's former Shikumen architecture as well as modern designs. Retail shops within the area retain the antique walls, tiles and exteriors of the Shikumen housing of old Shanghai, while their interiors embody a totally different world comprising international galleries, bars, cafes, boutiques and theme restaurants. The Damansara Performing Arts Centre (DPAC) too lends an air of sophistication and cultural prestige to Empire Damansara. Empire Damansara is a leasehold development and comprises seven buildings within the 5 components, which are 24-storey Empire Residence with 277 units; 39-storey Empire Studio with 641 units; 24-storey Soho 1 with 389 units; 27-storey Soho 2 with 328 units; 12-storey office building with 1 unit; 7-storey detached office with 6 units; 2 & 3-storey retail shop with 29 units.